Watch behind the scenes of Rihanna’s Chopard Campaign Shoot! Posted by An.J / Filed under: Behind the Scenes, Fashion / Leave a comment? Last week, Vogue Arabia shared a 10-second-clip on Instagram, in which Rihanna faced off with the infamous bust of Egyptian Queen Nefertiti. “Thousands of years apart, two iconic women will finally meet in the pages of Vogue Arabia,” read the caption. The clip quickly went viral. Today, the Vogue Arabia Arabic and English covers for the hotly-anticipated November issue have been revealed, and are already spreading rapidly. Lensed by renowned photographer Greg Kadel (who also photographed Halima Aden for Vogue Arabia’s June issue), the superstar singer appears on the cover wearing Gucci paired with a custom Faeth Millinery-designed headpiece in a stylish homage to Queen Nefertiti. Indeed, for fashion’s biggest rule-breaker, inclusivity is crucial to her brand. 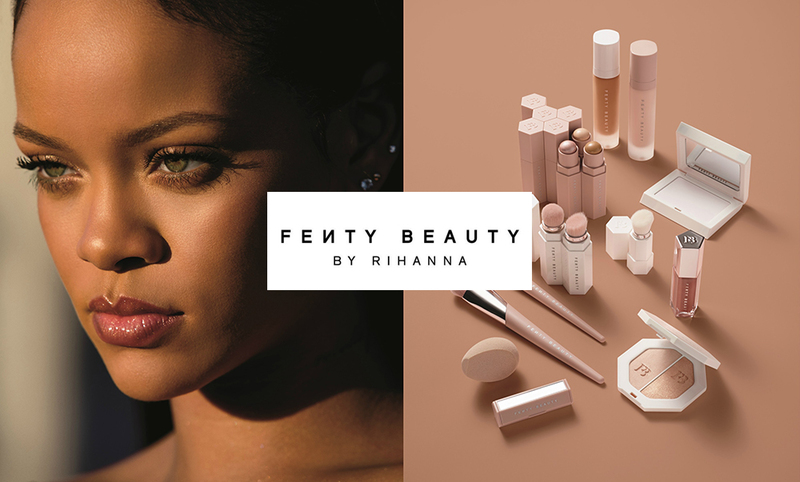 The popstar unveiled a line of cosmetics, Fenty Beauty, last month that featured a range of fine-tuned foundations, highlighters, blushers, and a lip gloss that worked for each and every skin tone. “I don’t want women to say, ‘That’s cute, but it only looks good on her,’” Rihanna noted during the time of the launch. Her campaign featured hijab-wearing model Halima Aden as well as Duckie Thot. Echoing the words of Arnaut, how exactly does one portray in a fresh way one of the most photographed women in the world? “Celebrity stylist Anya Ziourova had the answer, and during one of our many Skype meetings, she revealed that the pop star has a real adoration for Queen Nefertiti, and has her iconic bust tattooed on her ribcage,” he says. The singer’s reverence for the legendary Queen is unsurprising. Ruling in Ancient Egypt next to her husband Pharaoh Akhenaten almost 3,500 years ago, Nefertiti still reigns as one of the most beloved figures from the Middle East. Known for her unmatched beauty — Nefertiti means “the beautiful one has come” — the Ancient Egyptian queen, who had a very active role in the country’s political sphere, is the picture of women’s empowerment. Rihanna follows the other ground-breaking women to appear on the cover of Vogue Arabia, including Gigi Hadid, Halima Aden, Bella Hadid, and October’s special issue featuring four iconic Arab models: Afef Jnifen, Farida Khelfa, Kenza Fourati, and Hanaa Ben Abdesslem. The magazine is available on newsstands on Nov 1. Posted by An.J / Filed under: Fashion, Mag Alert, Magazine Covers / Leave a comment? Watch Rihanna during her Fenty Beauty promotional tour in Madrid! We also took time to make some HD screen caps, enjoy! Posted by An.J / Filed under: Advertisements, Appearances, Fenty Beauty / Leave a comment? The successful FENTY x PUMA by Rihanna is a newcomer to the list of nominations in this year’s Urban Luxe Brand category at the British Fashion Council’s Fashion Awards. Votes were cast by 2,000 members of the fashion industry across disciplines that include media, retail, communications and photography, with the voting body covering 38 countries. In 2016, The Fashion Awards underwent a rebrand, losing the “British” from its title in a bid to make the awards more international. The Fashion Awards is a key fundraiser for the BFC’s education foundation. Last year, the event raised £700,000 (about $920,000 at current exchange), of which £300,000 ($400,000) was used to support young British talent through scholarships. The remaining funds were allocated to Newgen, the scheme pioneered by the BFC in 1993 to nurture and support emerging talent by offering new designers mentoring as well as a platform to show at London Fashion Week. In the last academic year, the programme awarded over £100,000 ($130,000) across 12 BA and MA scholarships. The BFC will look to broaden the variety of scholarships available in the year ahead. This year, Swarovski has pledged £300,000 to the BFC’s education programme in advance of the fundraiser. Read more about the British Fashion Council’s 2017 Fashion Awards and view all nominees here. Posted by An.J / Filed under: Awards Nominations, Fashion, FENTY x PUMA, News / Leave a comment? Rihanna rocked a new hair-do for the third day in a row while hitting the gym in NYC on Saturday (Oct 21st). In the evening she was photographed leaving the iconic recording studio Electric Lady Studios, where artists such as David Bowie, John Lennon, Lady Gaga and more have recorded. Posted by An.J / Filed under: Candids / Leave a comment? After a quick visit to Abu Dhabi, Rihanna is already back to work in New York. She was spotted out and about in the city (Oct 19th), supposedly leaving a video shoot set. Visit our candids gallery for all latest photos.